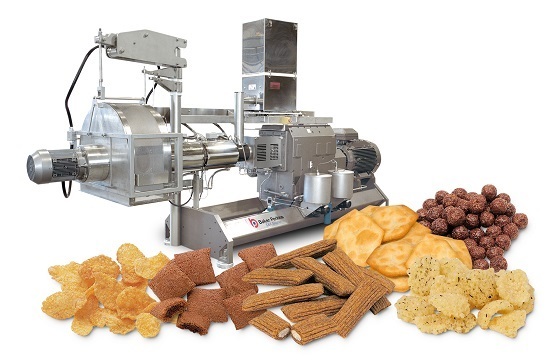 Extrusion is a well-established process in the snack industry. 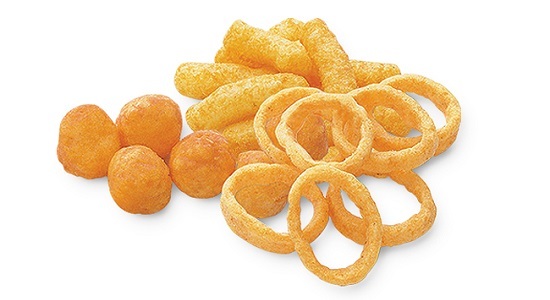 It has been used for many years to make standard products such as corn curls, onion rings and chipsticks and twin-screw extrusion is increasingly being used for more sophisticated snacks with interesting textures or centre fillings. Selecting the right extrusion method is trickier: single screw extruders offer simplicity and lower capital cost, but twin-screw extruders provide versatility and higher quality products. This is a fundamental decision with long-term implications, and needs careful consideration. For companies who foresee a continuing need for relatively small outputs of simple products a single-screw extruder is adequate. But businesses are rarely static, and many single-screw operators are faced with a dilemma when throughput, variety, quality and flexibility need to be increased. Do they add more single-screw machines – adding volume but not value - or switch to twin-screw? At this point, I know that many do make the switch to twin-screw processing. Potential benefits include the choice of a wider range of ingredients, greater throughput, improved quality, added flexibility, superior process control and lower running costs At this point, I would guess that many are asking themselves why they chose single screw in the first place. Both single- and twin-screw extruders generate temperature from mechanical energy, act as a pressurised cook chamber, and define the shape and texture of the product. The contrast between the two extrusion techniques is, however, significant. With a short barrel and low retention time, single-screw machines offer comparatively poor quality of mixing and heat transfer. Twin-screw extruders - with their intermeshing screw design - create more shear to ensure the ingredients are thoroughly mixed. They also create more pressure, giving a denser and more controllable product at the die. The result is a higher quality snack. 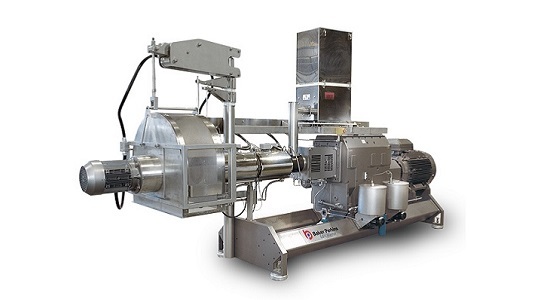 Single-screw extruders are simple to maintain and operate, but can be used to produce only uncomplicated direct expanded snacks using basic formulations, mainly with granular free-flowing materials such as maize grits. 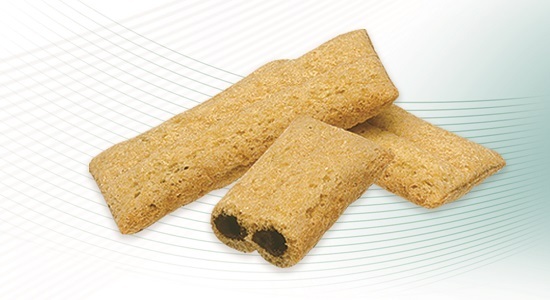 Twin-screw extruders process a much wider and more complex range of ingredients including oat flour, starches and fine particle size materials. I would contend that successful companies must aim to meet a clear demand for attractive, sophisticated products that provide differentiation in a crowded market. 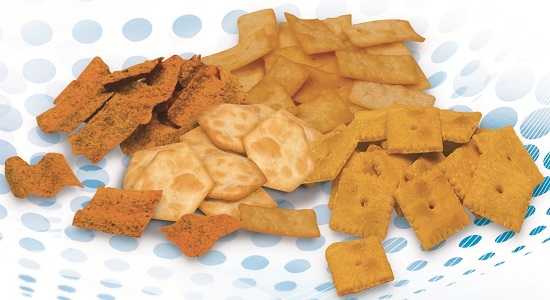 Twin-screw extruders, plus a range of post-extrusion forming and cutting technologies, including co-extrusion, can create high-value snacks with an interesting and diverse range of shapes, textures and surface finishes. This is simply not possible with a single-screw machine. Twin-screw machines provide higher potential throughput, and savings in start and stop procedure, cleaning, and wear. A twin-screw extruder does everything a single-screw can do – and much more. Ambitious, growing companies are choosing twin-screw extrusion as a technology they can rely on as their business develops.